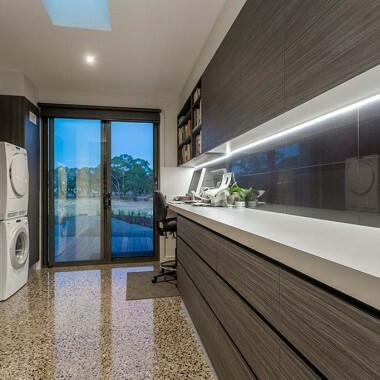 Sleek laundries by Your Custom Cabinets’ joiners, servicing Geelong and the Surf Coast. For laundry cabinets, call the cabinet makers at Your Custom Cabinets. Having completed many laundries, we have many ideas for laundry benchtops, laundry shelving, laundry cabinets and laundry storage. Staff at Your Custom Cabinets are happy to assist you in selecting your laundry custom cabinets design so that your laundry is spacious and functional. Forget finding extra space to squeeze linen and towels, you won’t be short on space once our joiners solve your cabinetry requirements. 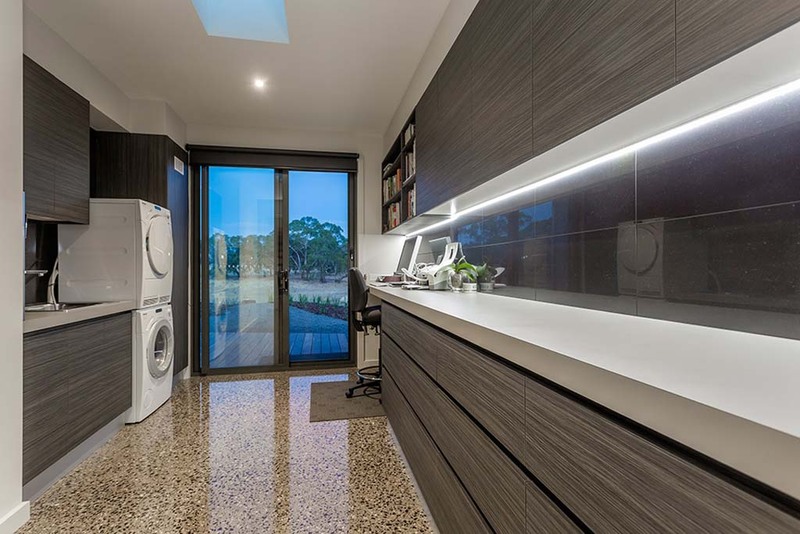 Another specialty of Your Custom Cabinets is kitchens for Geelong clients. We create and install kitchens for new and renovated homes in the region.